David Leavitt's has wriiten a book 'The Indian Clerk' about Ramanujan and Hardy. This post in Hindi (Devnagri) is book review of the same. You can translate it in any other language – see the right hand widget for converting it in the other script. Hindi (Devnagri) kee is chhitthi mein David Leavitt kee Ramanujan aur Hardy ke bare mein likhee pustak 'The Indian Clerk' kee smeeksh hai. ise aap kisee aur bhasha mein anuvaad kar sakate hain. isake liye daahine taraf, oopar ke widget ko dekhen. द इंडियन कलार्क -कितना कुछ महत्वपूर्ण छूट गया है पढने को :-( आभार ! which one is more authentic ? 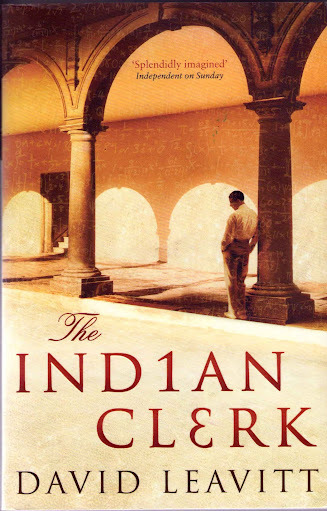 The Indian clerk or the man who knew infinity ?